How to not get metalic foil on the white background?? hgtaylor87 , are you using a laminator with your laser print? @hgtaylor87 ; - This isn't a foiling forum by any stretch, but we do have some members that do foil. So here are the questions: what foil paper are you using; what cardstock are you printing on; and what laser printer are you using? Lastly what lamination process are you using (laminator brand, etc)? Also a picture of what you want it to look like, and what results you got. 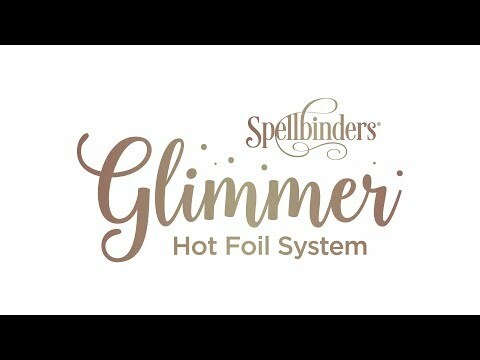 I’m using glimmer hot foil system, heat activated foil! From hobbycraft! I’ve tried using different weights in card.. just plain white, but still not working! Are there any machines that don’t cost the earth that will do the same? But it needs to be able to foil my designs?? To add a photo, it needs to be jpg or png, click the Insert an image icon and then click Choose Files. So I assume you are in the UK, at least that is where Hobbycraft is. Have you followed the instructions as seen in this youtube video? Are you using the recommended foil? What did your first samples look like. I believe that Crazy_Mr_Zing may be correct. There are different types of foils. Some are toner based and some are not, you apply and heat it up so it will adhere where you apply it. "Can you use any brand of heat transfer foil with the Glimmer Hot Foil System? Unfortunately, no. Other popular foils like ThermoWeb and Minc are toner based and will not work in this system. This machine does not use a toner to adhere the foil." The best recommendation is to find the name brand and check their site to see if it tells you if it is a toner based foil system or not. Yes, @Crazy_Mr_Zing, I have a GoPress and Foil by couture creations. The glimmer foil won't work with a laser print and laminator or Minc. The heat and pressure of the laminator causes it to stick everywhere. It has a heat activated adhesive on it. Foils used with the Minc do not have any adhesive and rely on the toner to adhere the foil. @hgtaylor87 - try getting the right foil for the method you are using. If you see specks of foil on your paper that are not part of the design that was printed, then that is the result of a poor printing result. Then consider a better printer. What is the printer? Also make sure your printer only prints with the black toner. Color printer use other colors with the black; the foil won't stick as well with other colors. And print on the best or archival setting.